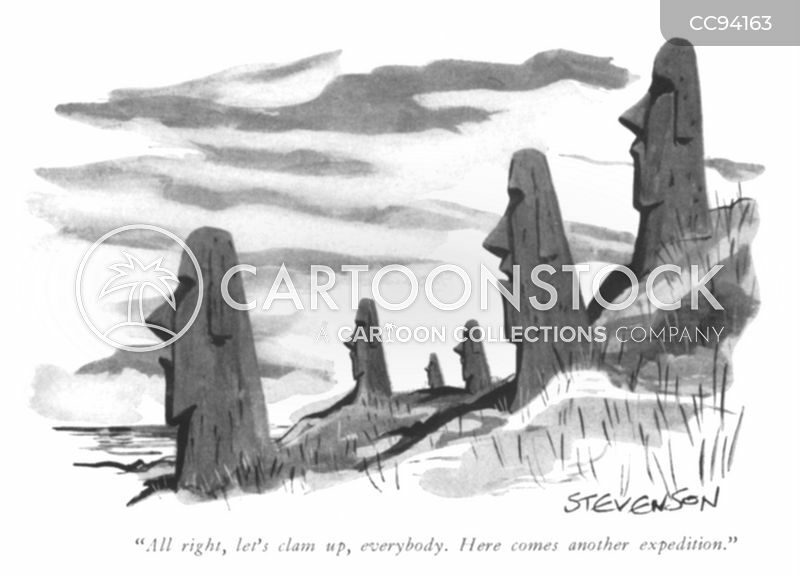 "All right, let's clam up, everybody. 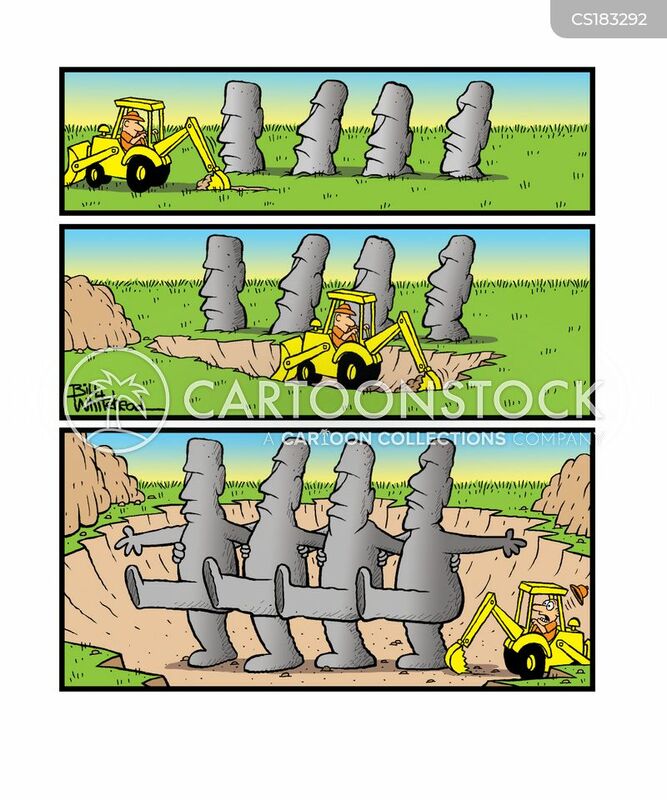 Here comes another expedition." 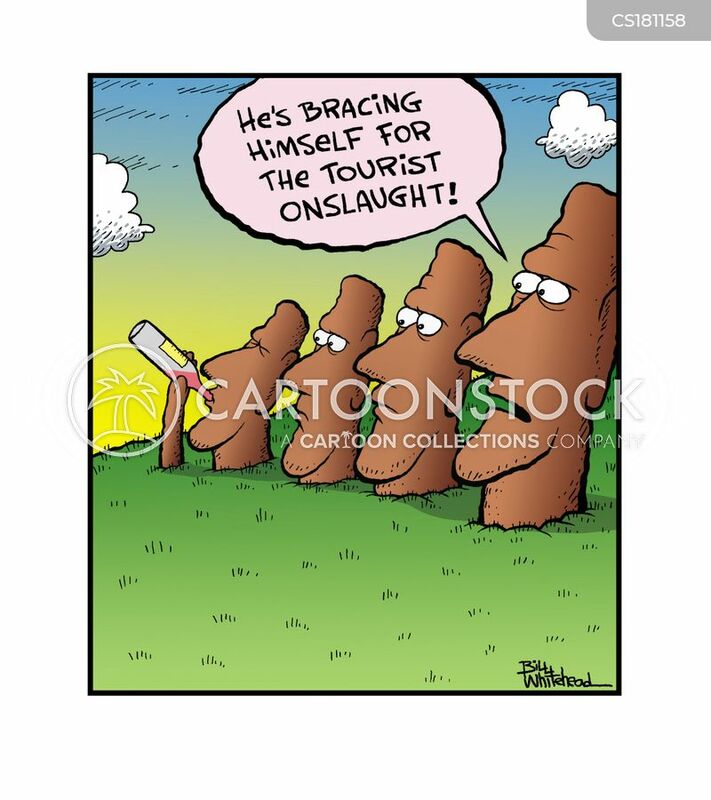 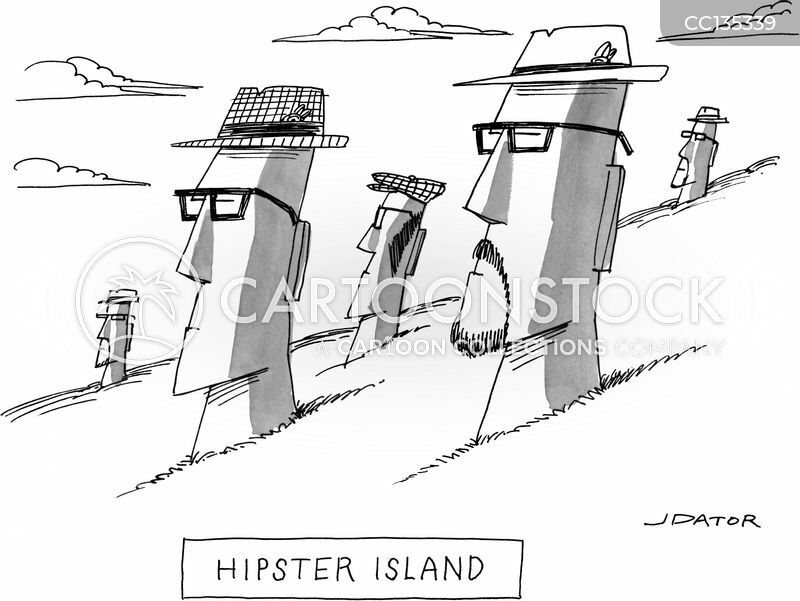 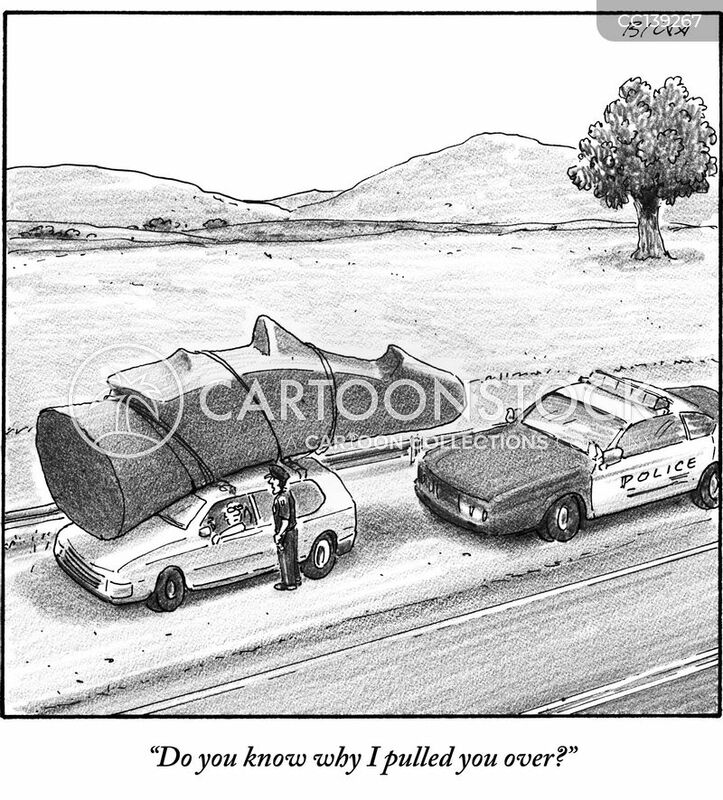 "He's bracing himself for the tourist onslaught." 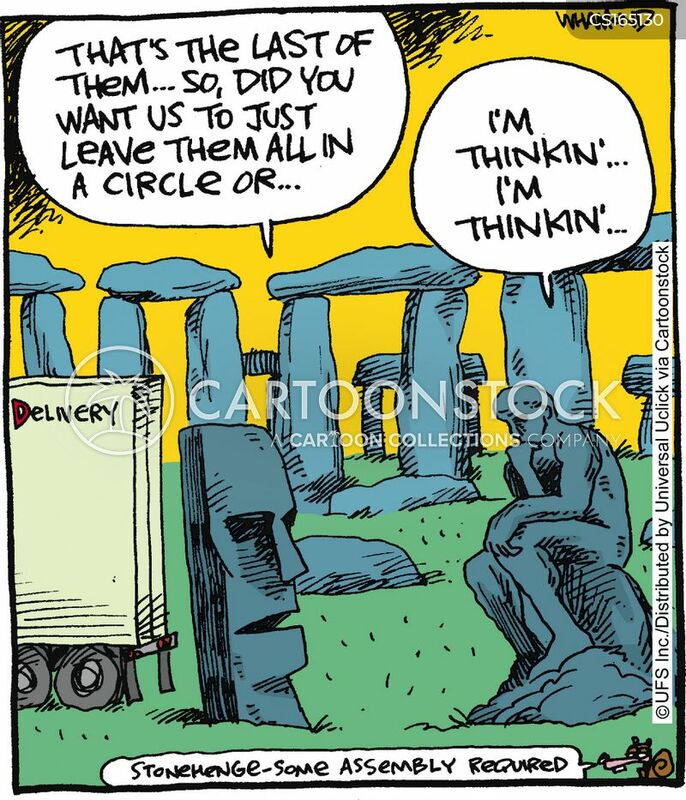 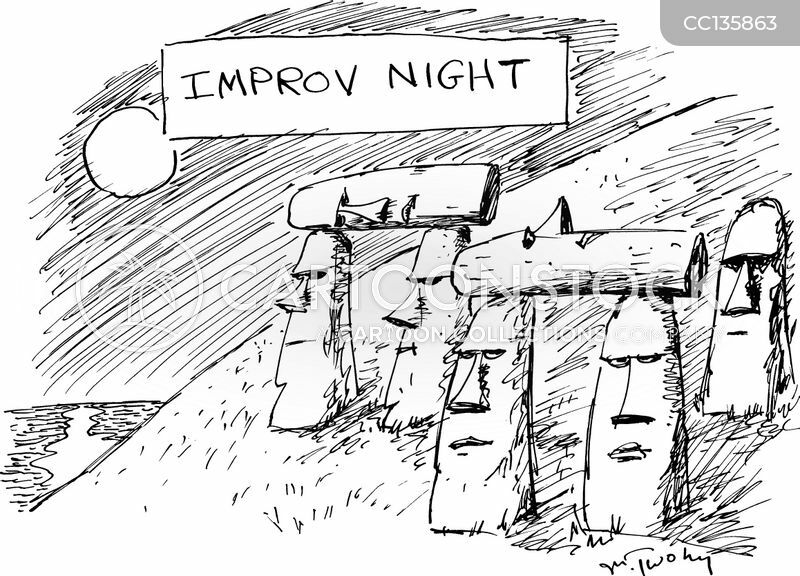 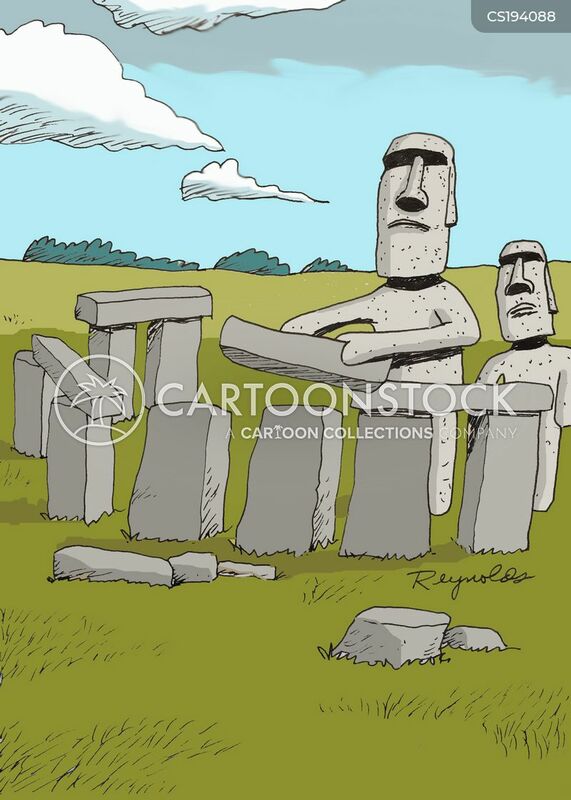 Easter Island statues in chorus line. 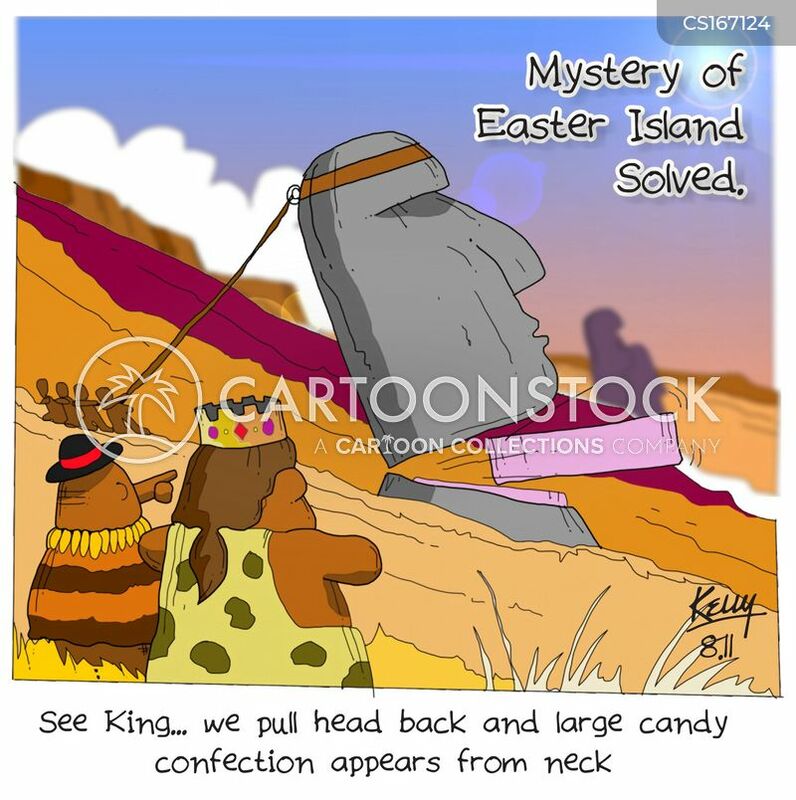 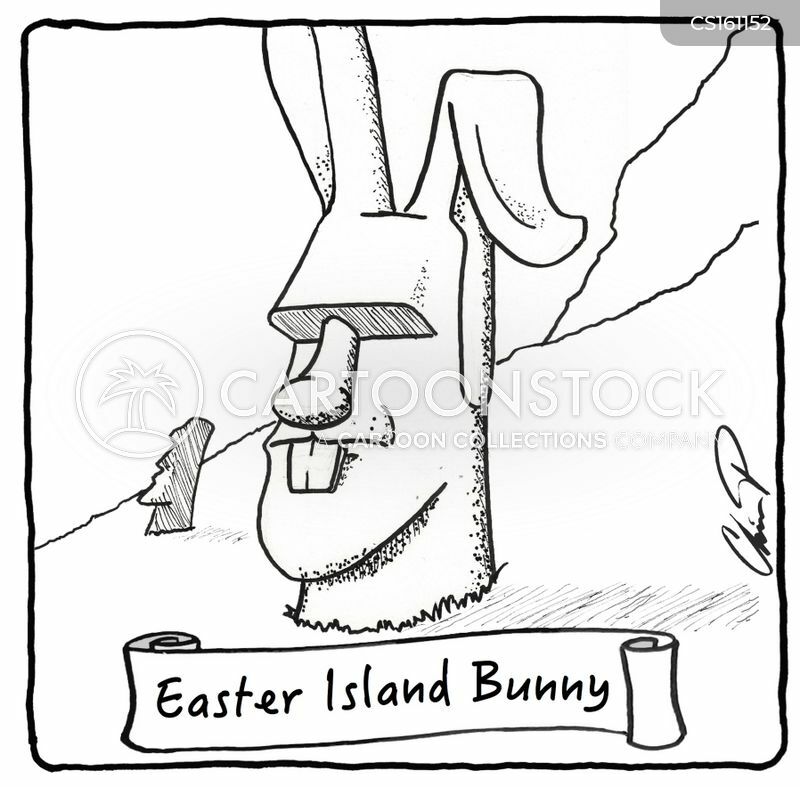 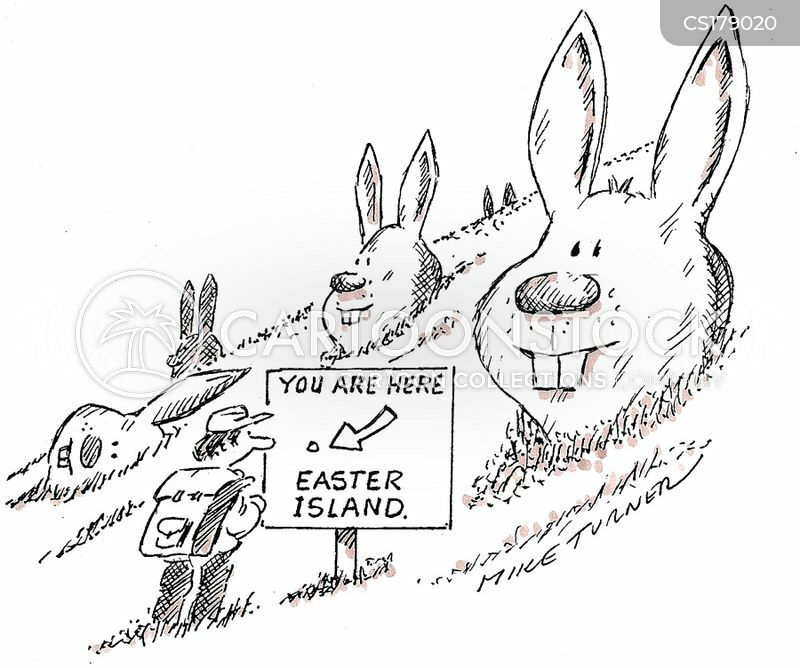 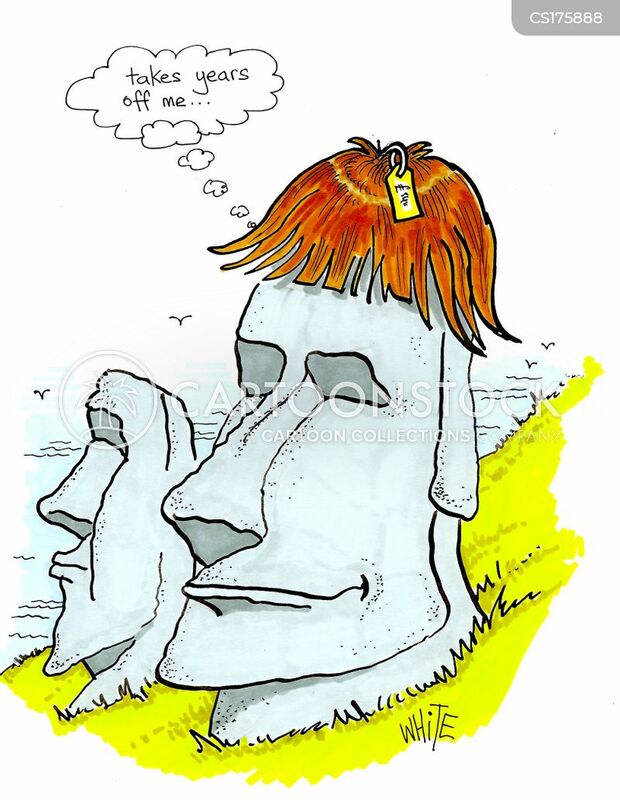 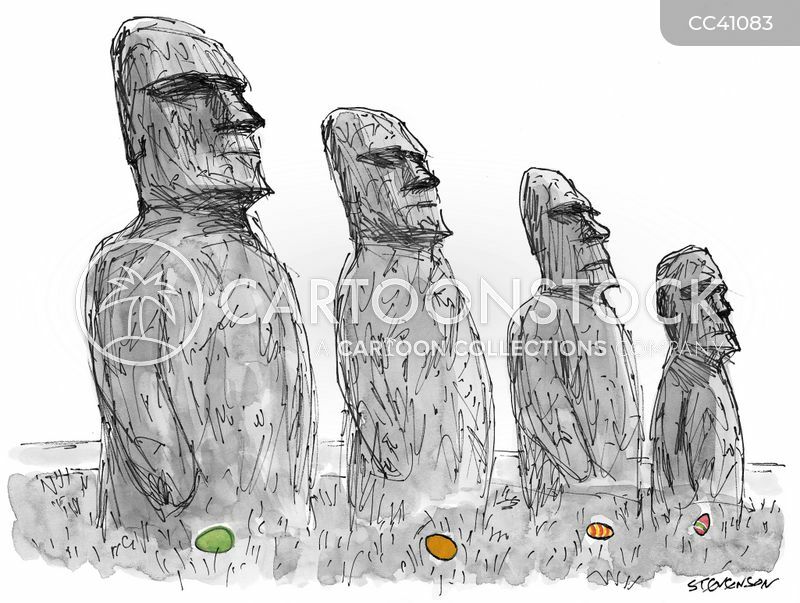 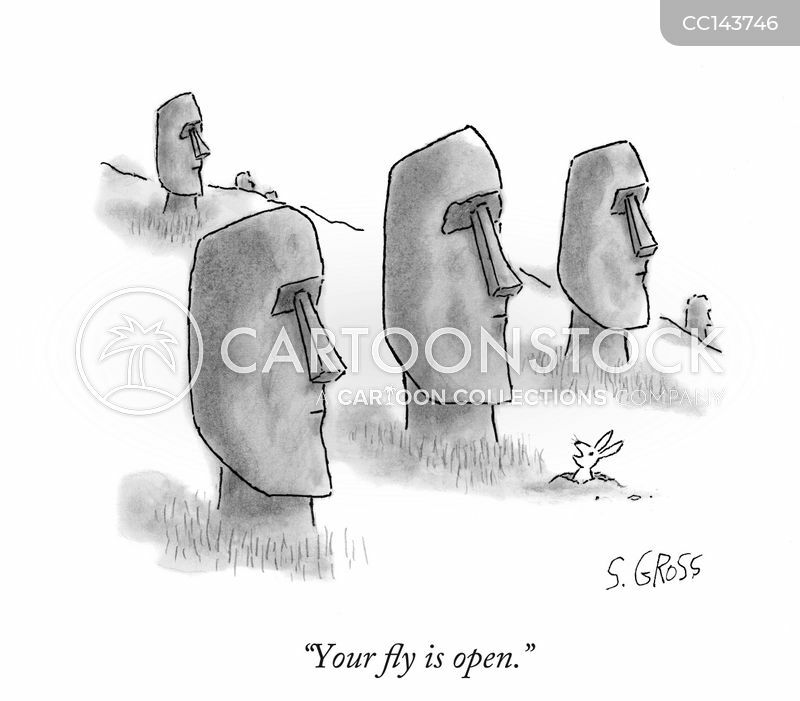 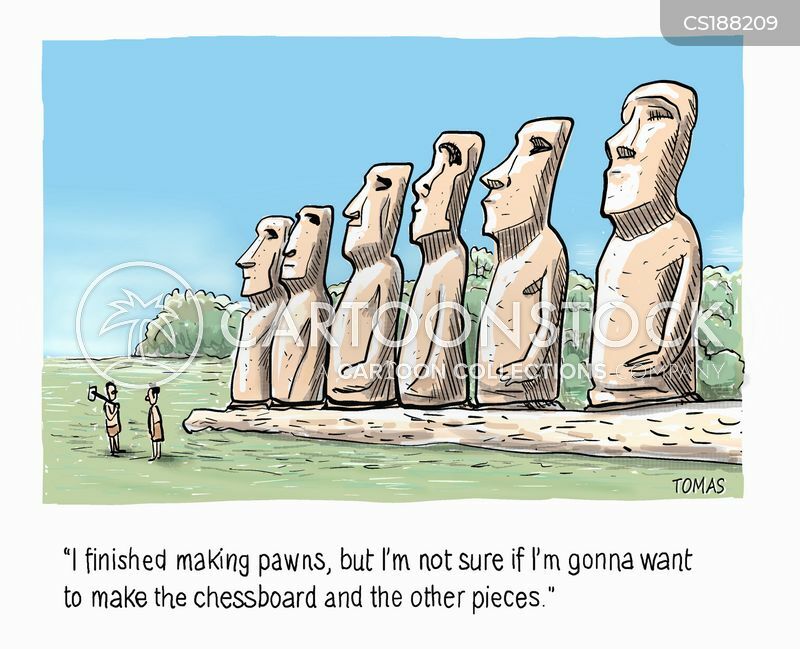 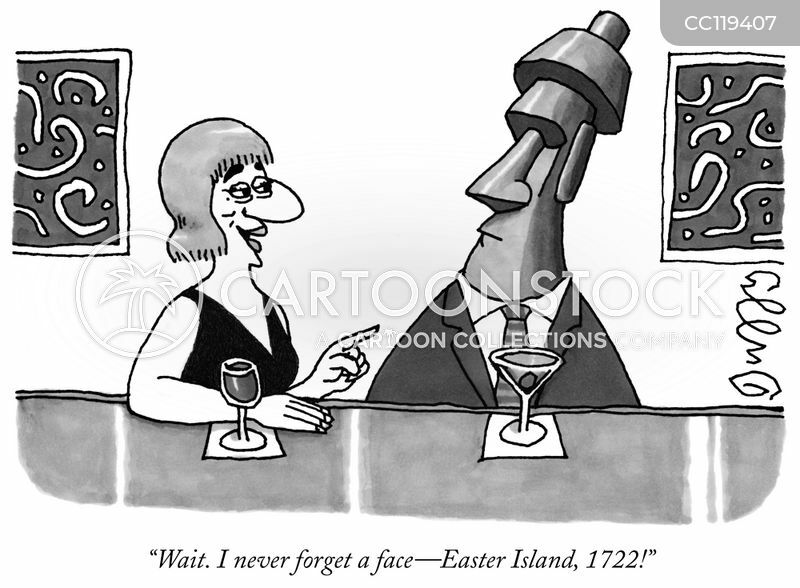 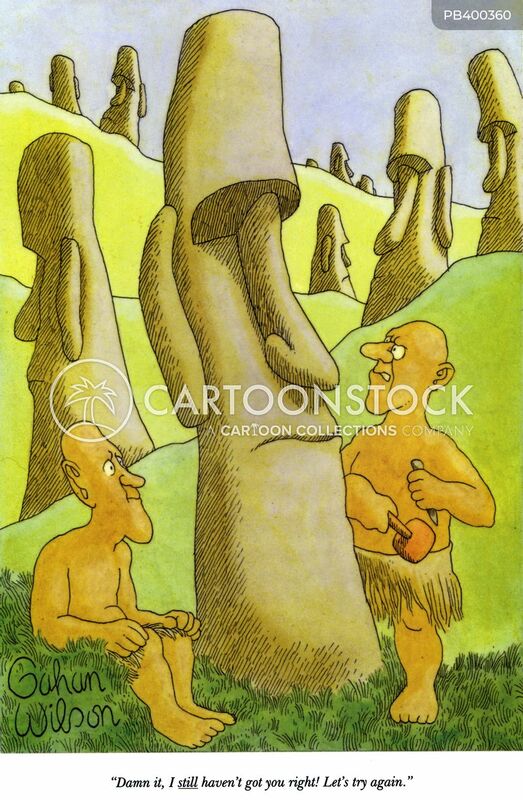 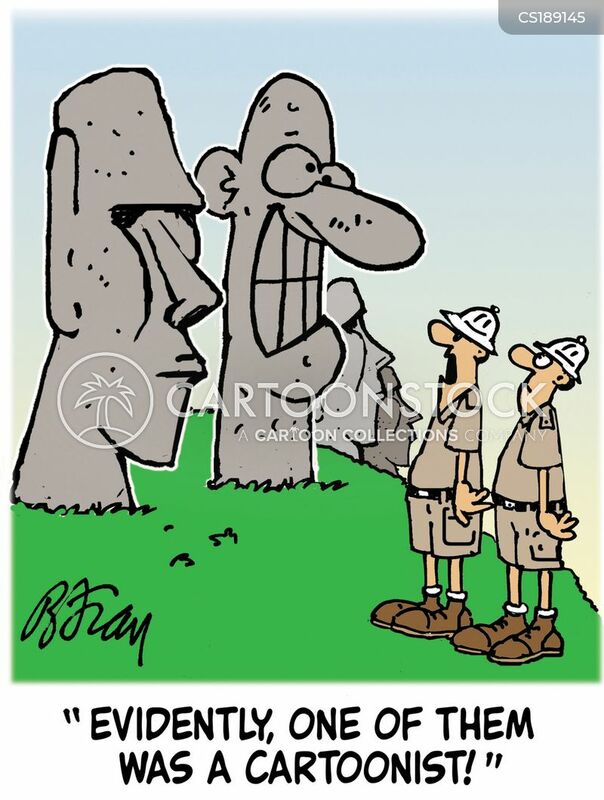 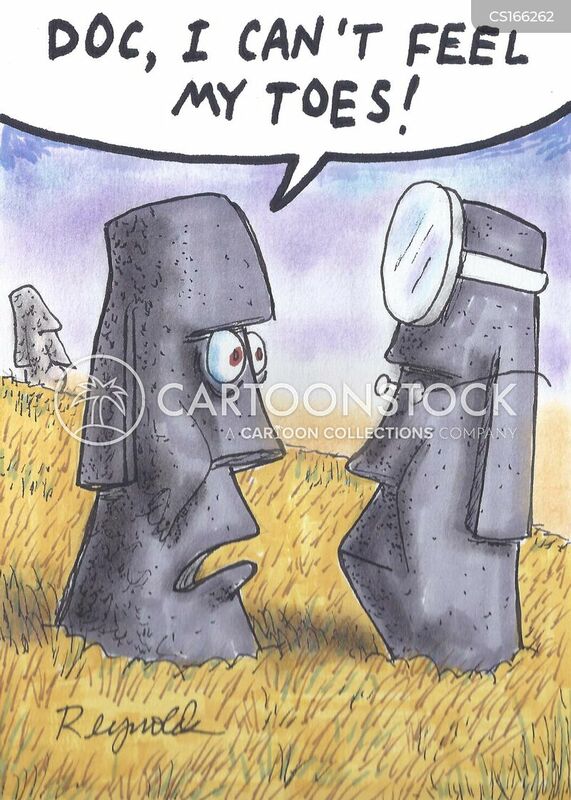 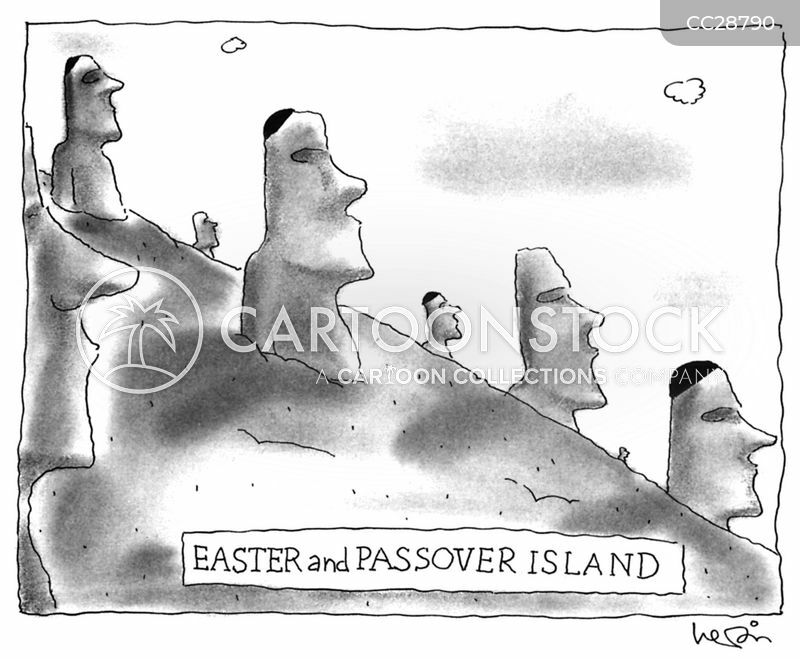 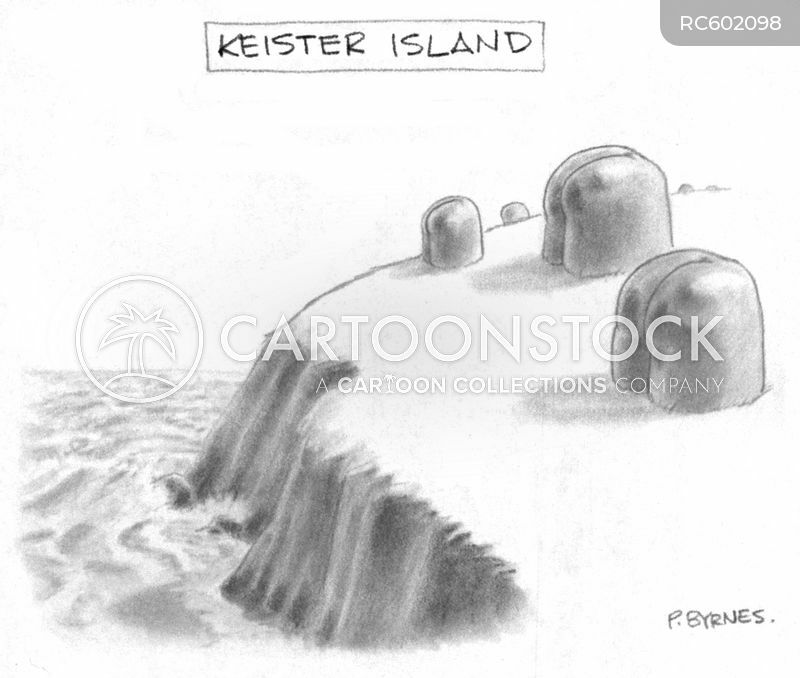 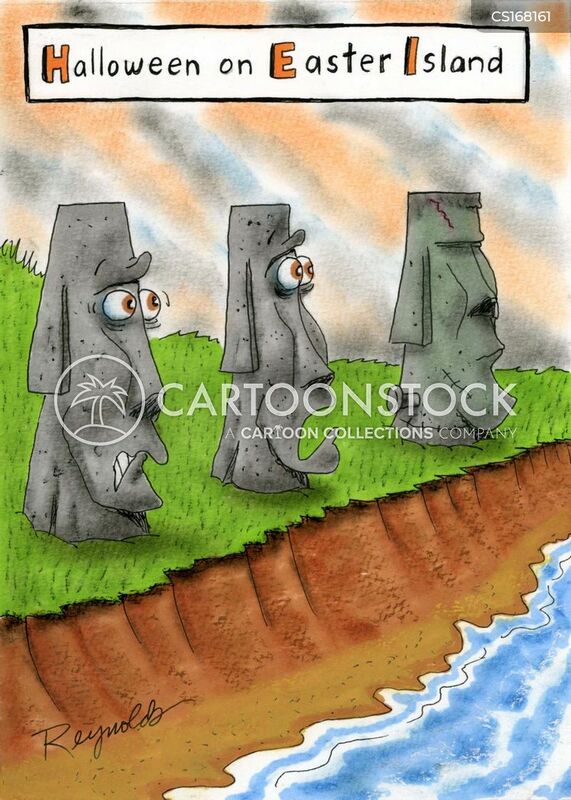 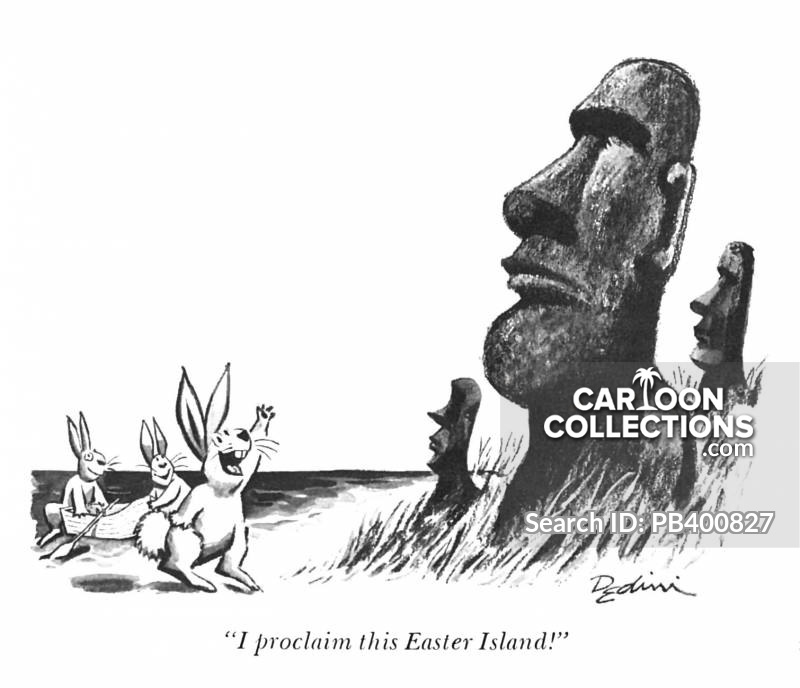 Easter eggs hidden around Easter Island. 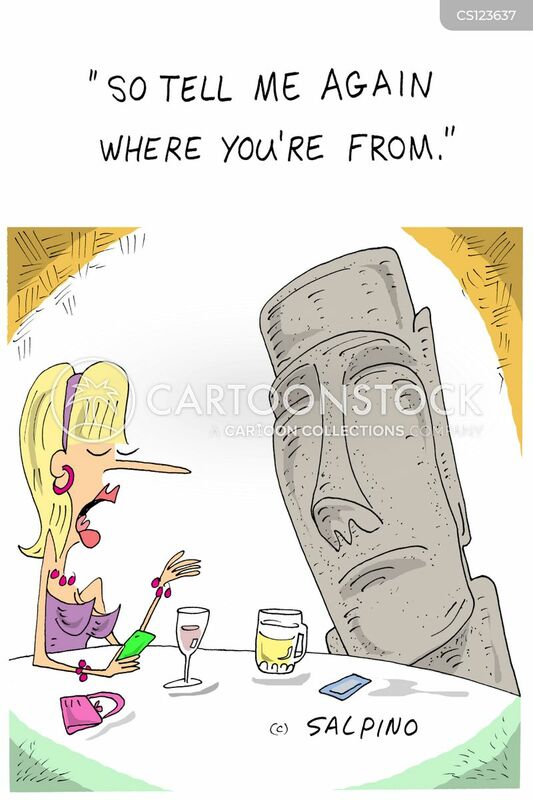 "So tell me again where you're from." 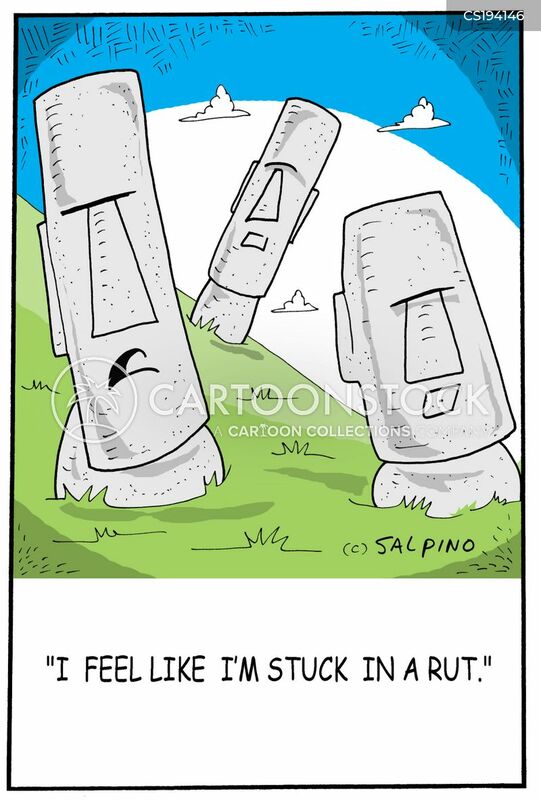 "I feel like I'm stuck in a rut."